Status : Private collection. Stored at owner's home. 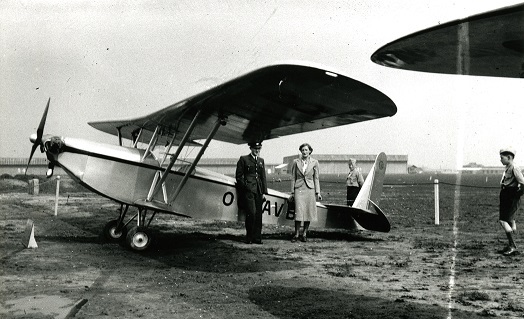 It is really not easy to find a belgian registered aeroplane that was fitted with a Praga engine ! 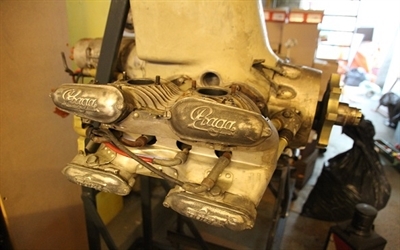 It seems that except the flat twin version B that powered the prototype SABCA S.30, there were none using the four-cylinder version D .
Nevertheless, it is an interesting engine with a streamlined crankcase that allowed to expose the engine without cowlings and the model D is only an enlarged version of the model B.
Praga was an important czechoslovakian firm that produced aircraft engines, aircraft and cars of their own designs that met great succes. The Praga D engine was first produced in 1936 but enjoyed its greatest success after WWII.